Access the Stillwater River, Clarks Fork of the Yellowstone and Rock Creek for guaranteed adventures of the wet and wild nature. 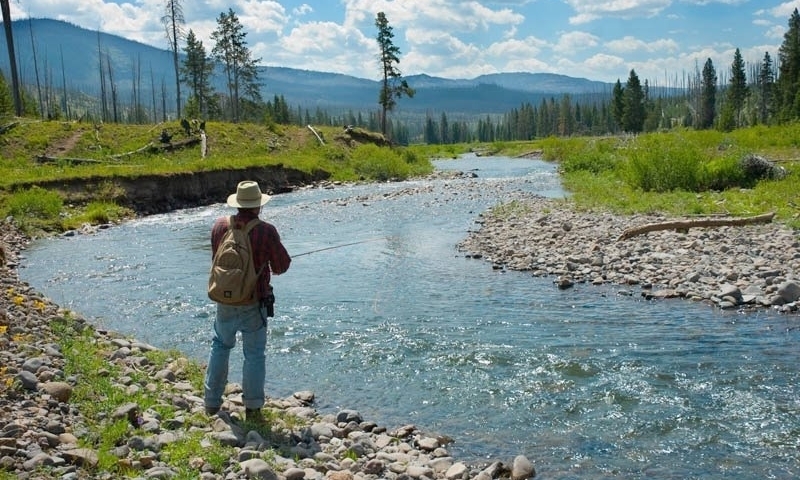 Cast your fly on the water at blue-ribbon trout fisheries surrounded by stunning mountains and Big Sky views in Red Lodge, Montana. Put some Old West flair into your vacation as you sway through stunning landscapes with outfitters who won’t let you settle for second-best. Put together your own Lewis and Clark expedition with adventurous river trips just like they would have experienced on jewel-like rivers. 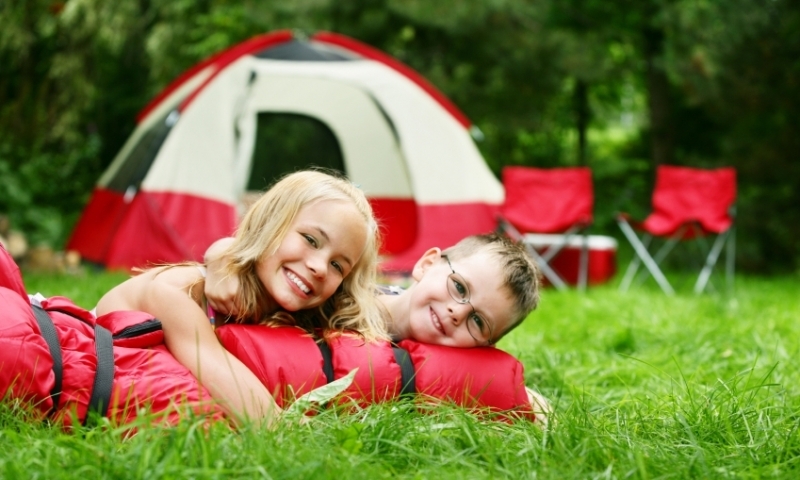 Get your camp on at RV parks or campgrounds around Red Lodge, Montana within National Forests, Yellowstone or Bighorn Canyon. Join up with local guides to find the best scenery, most prolific wildlife and spectacular hard-to-reach locations. Or choose a simple day hike. 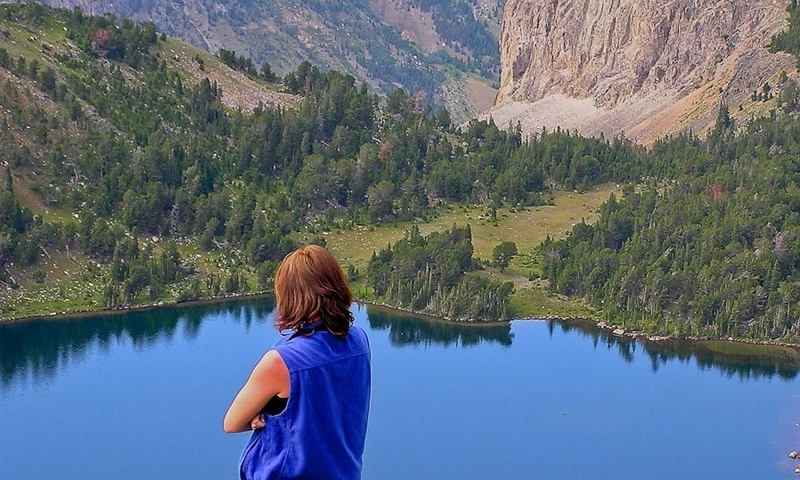 The Red Lodge area of Montana is an incredible outdoor summer vacation destination for the whole family in close proximity to Yellowstone National Park and several National Forests. 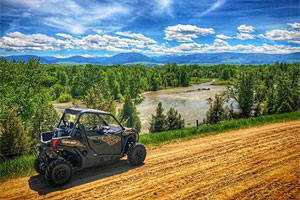 There’s quite an array of outdoor summer activities for you and your family to choose from when vacationing in the Red Lodge, Montana area. If you'd like to learn a new sport, there are many guiding and outfitting companies who will allow you to learn new skills with your children. When deciding to hire a guide or outfitter, be sure to ask if the activity is appropriate for all age groups and skill levels. Bicycling areas in the Red Lodge area include Highway 78, up the Ski Run/West Fork Road, West Rim Loop and various downtown historic trails between 2nd and 17th streets. Area rivers and lakes are an angler’s paradise near Red Lodge, Montana throughout the year. Short and easy day trails and extended backpack journeys are possible from trailheads within a few miles of Red Lodge and the Beartooth Highway. 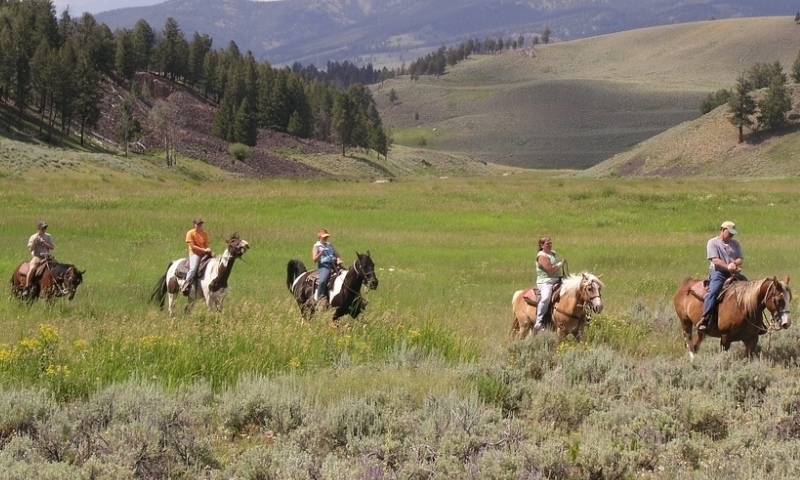 The whole family can enjoy horseback riding in the Red Lodge, Montana area from May through September and experience travel like an early old West pioneer. If your interests involved hunting and fishing, consider combine those activities with a horse pack trip and get to prime destinations in the Red Lodge area. 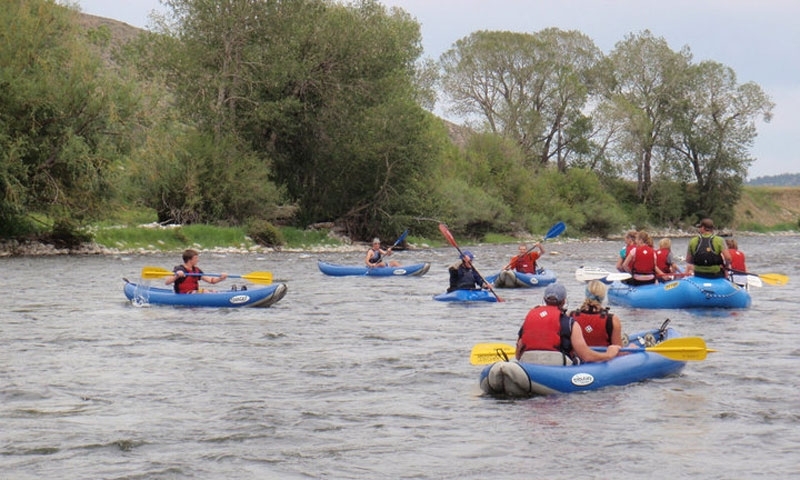 Stillwater River, Clarks Fork of the Yellowstone, and Rock Creek offer whitewater rafting with experienced local guides and outfitters ready to make your float a wild and wet but safe and successful adventure. Those who want a leisurely float down Red Lodge area rivers won’t be disappointed. The Stillwater River has a range or water classes for skilled floaters to navigate. Listen to the clomp of horse feet and enjoy a wagon ride through Red Lodge’s small town streets or in nearby Absaroka Beartooth Wilderness areas. Combine a horse pack trip or horseback ride with a guided hunting trip and seek Montana’s abundant elk, moose, mule deer, bison, white-tail deer, bear, and bighorn sheep. 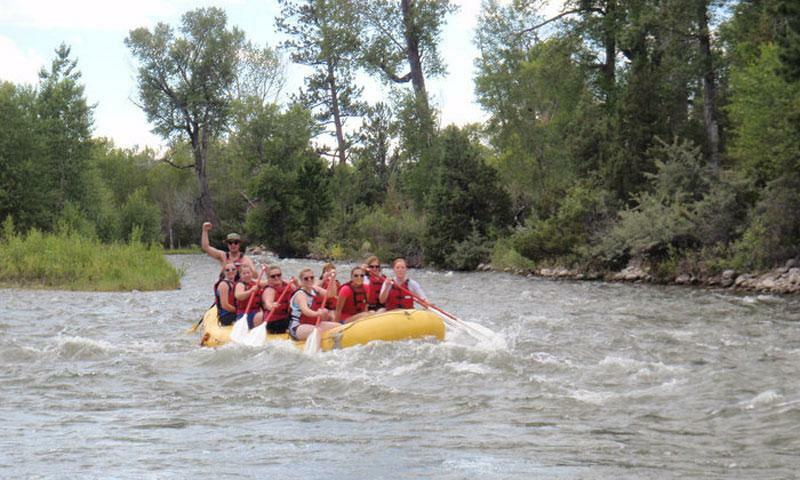 Take a friend and enjoy splashing in the Stillwater River near Red Lodge, Montana. To get teed-off near Red Lodge, head to the 18-hole Red Lodge Mountain Golf Course. Climbers will enjoy the heights of Granite Peak and areas in Glacier National Park near Red Lodge. Hog lovers will love the scenery along the Beartooth Highway as well as the popular, annual motorcycle rally and rodeo each summer. Montana is an excellent place for kids to develop a passion for the outdoors. 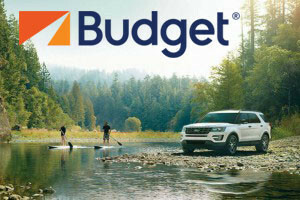 There are unlimited opportunities to camp, hike, bike, horseback ride, canoe, river raft, fish, rock climb, and watch for wildlife and take pictures. 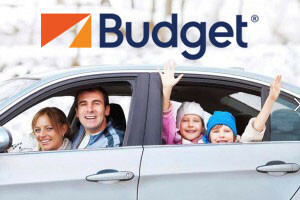 Yellowstone National Park is a wonderful adventure for the whole family. With abundant wildlife and intriguing geysers, mud pots, hot springs, and waterfalls, everyone is sure to be fascinated.